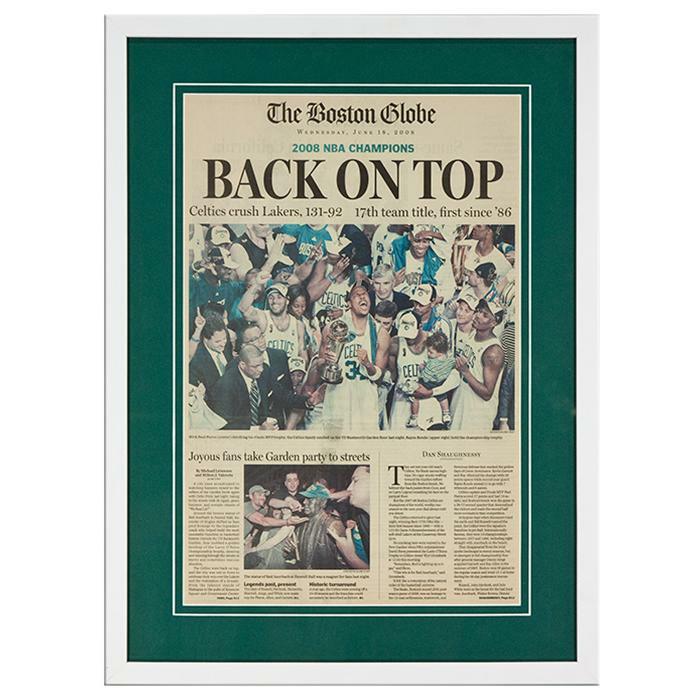 Framed Size: 16 3/4" x 22 3/4"
Original newspaper from Celtics basketball championship framed in a 3/4" wide white wood frame with U.V. filtering glass. Matted with green colored mat and a v-groove cut into it.